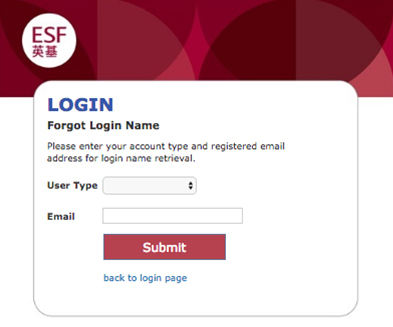 Click on “forgot login name” or “forgot password” link beneath the Login button. A new temporary password will be sent to your registered email address. Log in to the Gateway using the temporary password. You will be asked to change your password to a permanent one. Please follow password requirements displayed on that page carefully. If for some reason the automated process does not work (i.e you never receive an email with a new login detail), please either contact the school by email at ben.wu@dc.edu.hk/ george.tibbetts@dc.edu.hk from your registred email address¹ and request a manual password reset, or come in-person during office hours. Gateway Parent username and password are the same for both parents. ¹ – if your request comes from an email address other than your registered one, we will have to verify the ligitimacy of the request, which may significantly lenghten the process.